Whether using open fermentation vessels is a small part of a brewery’s business or bigger chunk of sales, most coolship owners agree that it’s always a learning process in brewing and cleaning techniques, maintenance and even marketing and sales. Across the country, consumers are becoming more educated on wild ales, sour beers and lambic-style brewing traditions, which date back centuries. 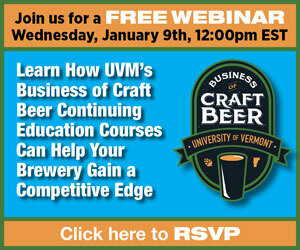 But this new generation of American craft brewing has started to put its take on old styles and create its own. It’s nothing new for Dan Carey at New Glarus though. The Wisconsin brewery had been shutting down its production facility from 1994-2014 to brew special wild batches of beer. That all changed when New Glarus added what it calls its “Wild Fruit Cave” in 2015 and began brewing with a specialty-made coolship with its own home constructed just outside the original brewery. 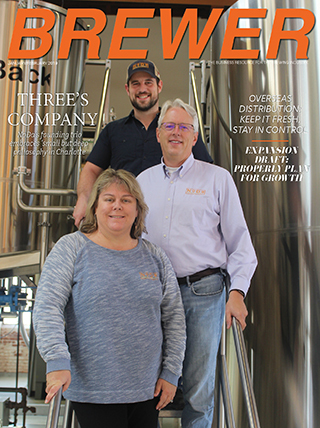 “By having a separate building we can schedule brewing whenever we want and we purchased additional tanks,” Carey said. “We used to have only two oak tanks. Now we have 20 of them so it allowed us to increase production greatly. Paul Arney, who is the founder of The Ale Apothecary in Bend, Oregon said he and his small team look to brew their own version of wild beer. “It’s a blend of numerous brewing and winemaking techniques,” he explained. 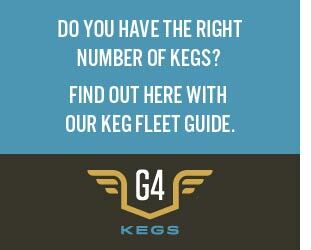 The brewery’s main value is to avoid using industrial equipment and processing aids. In fact, Arney tells his customers that the process is at least equal to the raw materials in terms of impact. Most of the time, the beer is in close contact with wood: mashing, aging,and fermentation. 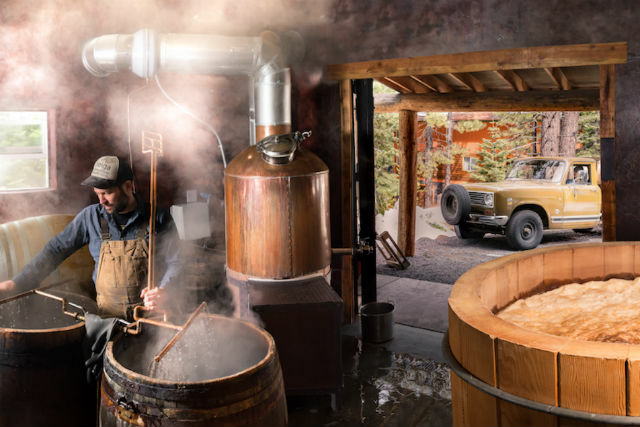 The brewery — which produced 350 barrels in 2017 — has a copper kettle and they are developing a coolship for special projects made from the trunk of a giant spruce tree. “In our process, the open fermentation is where we re-inoculate our wild culture of yeast & bacteria,” he explained. “The beer gets pitched with our harvested wild culture so we can have a quick initial primary fermentation. This keeps off-flavors that typically result in blending batches in lambic breweries down to a minimum as our wild saccharomyces and brettanomyces get to work immediately. The brewery utilizes a few 500 liter puncheons with the heads removed for 3-bbl batches. They also have a 4-bbl Douglas Fir tank made by the Hall-Woodford tank company in Pennsylvania. Chad Yakobson wanted his brewery, Crooked Stave in Denver, to create an environment where from the brewhouse you can walk up to the coolship. “It is located slightly above our brewhouse and the brewhouse ceiling is lined with Colorado Blue Spruce, our state tree,” he explained. “The height of the coolship is custom designed and allows for proper cooling underneath. A brew day for New Glarus starts in the morning and by the afternoon the coolship is filled. Normally a coolship is housed under a wood roof or wood ceiling of oak because the microorganisms can take up residency in that porous wood. The steam rises, it hits the wood and then it drops back down. “That’s the first way that you are inoculating the wort with the micro organisms that have taken up residency in the wood,” he said. Carey said they don’t really check the yeast post fermentation. Carey has visited lots of breweries around the world and has seen lots of coolships in Europe, which helped lay the plan for the New Glarus facility. New Glarus beers it’s beers for these styles range from 10 gallons on a test batch up to 130 Hectoliters for production. “Probably the most difficult thing about making sour beer is what do you do to make sure that they don’t turn acetic, which is generally not something positive in most sour beer,” he said. The frustrating, or the unsatisfactory, answer to that is: it depends what you’re going to make. In New Glarus’ case they have a totally separate building. There’s no doorway between the “Wild Fruit Cave” and the production brewery so employees can’t get from one to the other without going outside. People that work in the cave will not be allowed back into the main brewery. The lab team does not go into the cave either, so the brewers have to do all of their own lab work. The tools: pumps, hoses, clamps, gaskets are all completely separated and labeled with a certain color tape and stay in that area. The foeders are anywhere from 250 to 2,500 gallons. In all, New Glarus has about 20 oak tanks along with about 10 stainless steel tanks. “The stainless steel tanks are there because when we brew we might blend three or four [oak] tanks together to make a batch,” Carey explained. “That means then that those four tanks that we pulled from will have headspace and you don’t want headspace in a beer that’s going to be aging for two or three years because it will turn to vinegar. The oak tanks are generally rinsed with a high-pressure hose. “We don’t want to leave any yeast or visible material on the wood,” Carey said. “These are old tanks. In many cases 50, 60 years old. So we’re not trying to clean them to be sterile. A lot of the microorganisms are resident in the wood. So by cleaning them with warm water or maybe even hot water — depending on if the tanks are leaking — then we try to fill them right away. If a foeder starts to go acetic then they will do a full CIP with the tank using a mild alkaline cleaner and follow up with the neutralisation with citric acid. “Then we could fill the tank up with a with a sulfur solution at a lower acidic pH and that would also help to fight any acetic acid bacteria,” Carey explained. “Really what you want to do is rinse the tank well and fill it back up or or gas it with sulfur wicks like they do in the wine business. Arney noted that they use hot water to pasteurize the equipment. 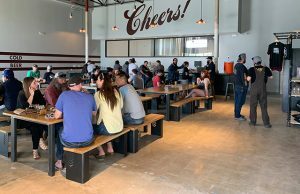 “One of our core values, as we have to treat all of our wastewater, is to minimize the chemicals that most all breweries dump down the drains,” he said. “It is really the truest reason as to why our beer is sour; values such as these have shaped the way our brewery looks and how the beer tastes … we don’t start out to force our beer into a style, we use our brewing knowledge to make the best beer we can while upholding our values. He does harvest yeast by scooping the yeast off the top of an ongoing ferment. Yakobson said over the years, the more Crooked Stave has used their coolship, they have seen their house culture grow stronger and active fermentations have been produced. 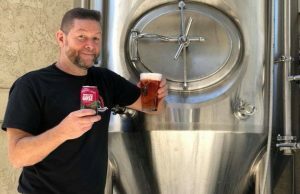 “Because the beer is spontaneous and we have been brewing utilizing the same practices for three or more years it’s really about the amount that we use it and allow the native microflora to continue to grow and thrive in our environment,” he said. 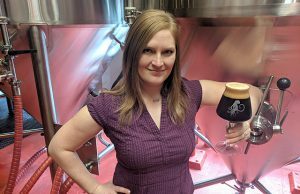 As the popularity among consumers of the entire “Sour Beer” genre has grown, Carey believes that its a double-edged sword for longtime producers.